We’ve been excitedly following the construction of the Woolloongabba Bikeway, which will provide Brisbane’s first substantial fully protected on-road cycleway along a major road. It is the missing link from the Goodwill Bridge to the Gabba that Brisbane has desperately needed for decades. But we remain very concerned about the treatment at the intersection of Stanley St and Annerley Road. In the current plan, the outbound trip along Stanley St or turning right into Annerley Rd will require a 2-stage crossing for people using the bikeway, whereas for vehicles in the main on-road lanes it is a simple crossing with plenty of time allocated each signal phase (except of course the inevitable delays during peak hour when the whole road network is choked with excess motor vehicle traffic). We are continually reminded that the right turn from Stanley St into Annerley Rd was the manoeuvre Rebekka Meyer was trying to make in 2014 when she was killed beneath the wheels of a truck with its dog trailer. At that time, there was no other feasible way for cyclists to make the turn; Brisbane City Council only upgraded the pavement to give access to the pedestrian crossing from the cycle lane in the wake of that tragedy. Unfortunately, the latest intersection works have effectively reversed that by removing the crossing on the eastern arm of the intersection, forcing people travelling by bike to again chose between the “safe” crossing – which adds minutes to their journey – or abandoning the new cycleway to travel through the intersection with the same priority as motor vehicle traffic. The situation is equally poor for people walking who simply want to cross the road but are forced to wait multiple light sequences to do so. The works are not yet finished, and there are still opportunities to adjust the traffic sequence, but we are not aware of any plans to implement the simple and obvious solution for this intersection: provide a “scramble” phase where all motor vehicle traffic is stopped while everybody walking and cycling can easily, safely, and efficiently clear the intersection. 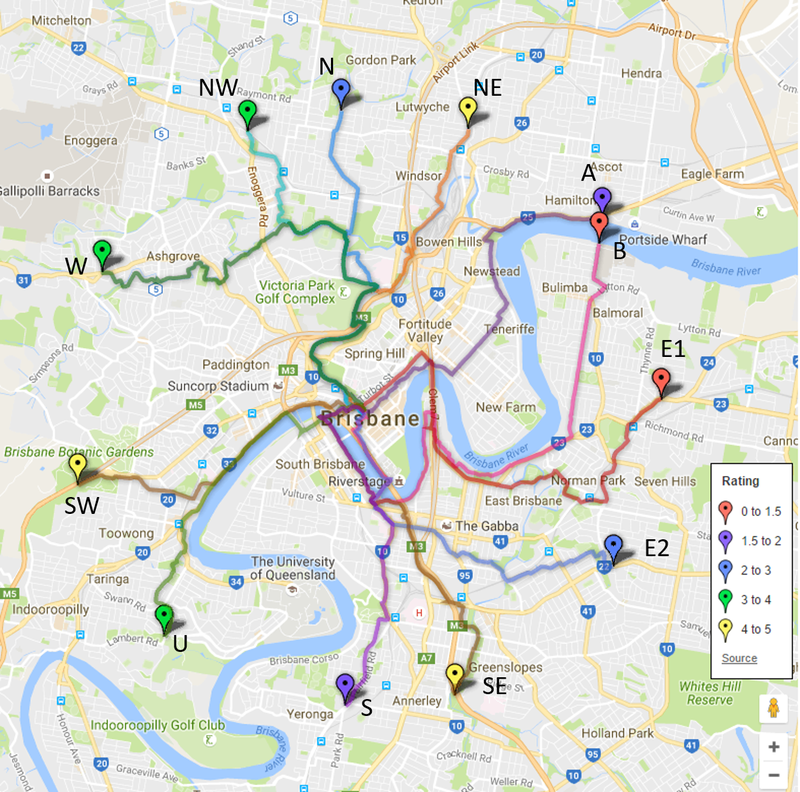 We hope that with their recent recognition of the value of walking and cycling to improve livability and reduce the impacts of congestion, Brisbane City Council will do the sensible thing and encourage healthy transport through good infrastructure. Starting here. Previous Beware the wicker basket brigade!